How cool does this place look? 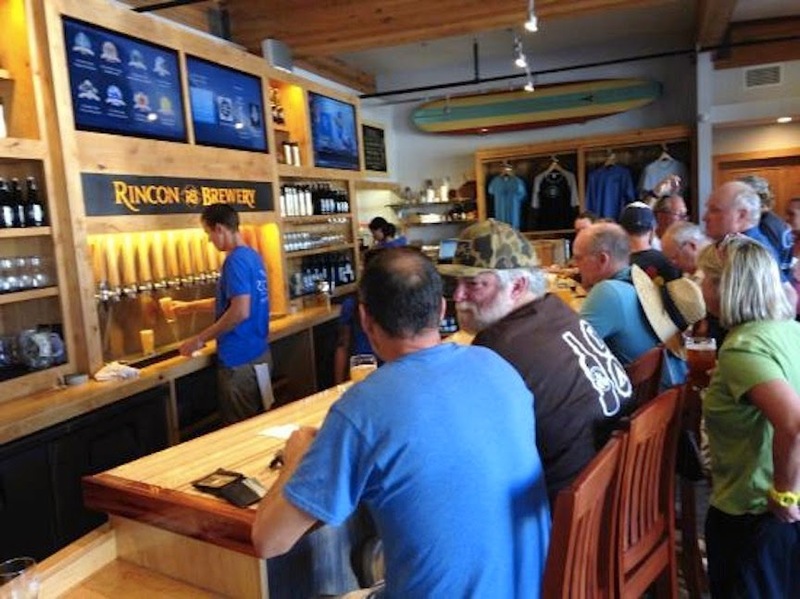 I received a special invite from my sweet friends, Lindsay to check out a new brewery located in cool Carpinteria. Carpinteria tends to be a little busy on the weekends due to the safe beaches and downtown shopping so if you see a open parking spot, you better grab it! All the beers sounded good for different reasons. The Bates Blonde is of course light and drinkable and there is also a nutty Mac Brown that would be fabulous on a cool evening. 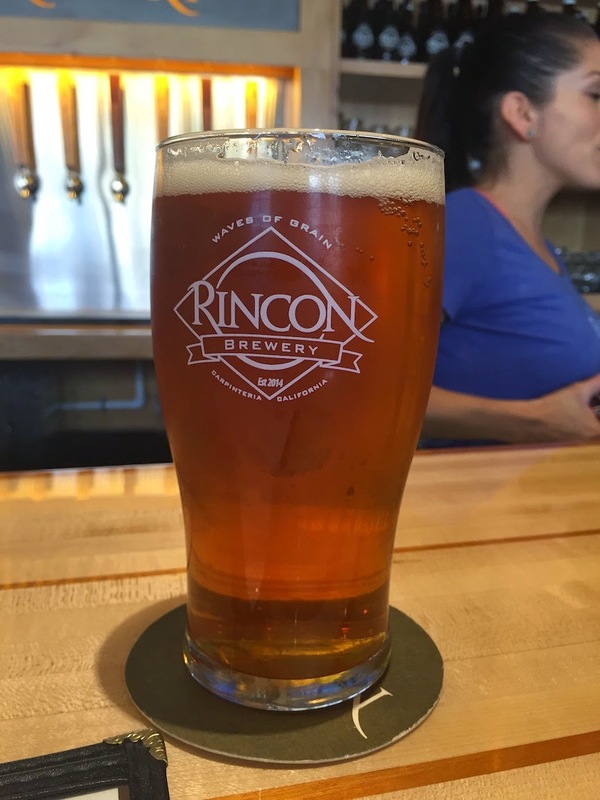 But the one that made it into my glass was a Mexican inspired Vienna Lager names "La Reina". The menu read like a perfect combination of comfort food and fresh vegetables. I love the idea of the Fried Chicken Salad filled with with crisp green but then made naughty with the fried chicken and cornbread! 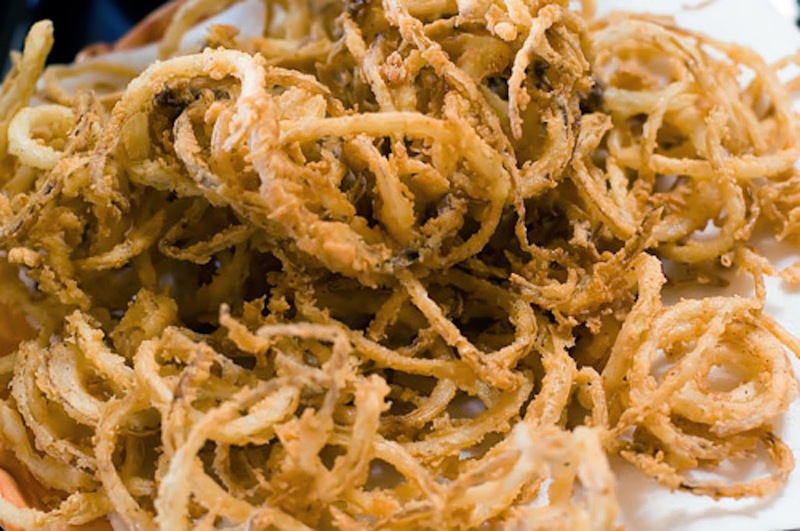 We opted for a large bowl of Onion Strings to share and I ended up eating most of them. They were greasy, salty and just perfect. Thank Lindsay for the invite!